The Trail of Tears has become the symbol in American history that signifies the callousness of American policy makers toward American Indians. Indian lands were held hostage by the states and the federal government, and Indians had to agree to removal to preserve their identity as tribes. The factors leading to Indian removal are more complex. Early writers such as Annie Heloise Abel and Grant Foreman simply described the policy and events. Foreman's book, Indian Removal (1932), is compelling because the reader can draw from quotes from primary documents the details of the removal experience for the five southeastern tribes. The bulk of the literature on removal deals with the impact on the Choctaws, Cherokees, Chickasaws, Creeks, and Seminoles, but Abel's work, Events Leading to the Consolidation of American Indian Tribes West of the Mississippi River (1906) deals with the wider implications of the policy for other tribes in other parts of America. The complexity of reasons for removal comes from later historical interpretation. Richard White's The Roots of Dependency (1983) puts the Choctaws in the larger context of American history and explains their experience in light of the changing economy of American society in the post-revolutionary war era. The religious justification for removal, preservation of Indian nations from the pernicious influence of white populations, is apparent in George A. Schultz's An Indian Canaan (1972), the story of Isaac McCoy, the Baptist missionary who was the most active proponent of an Indian state, where Native peoples could be consolidated in an area where, if the environment was foreign, they could be protected to pursue their own lifestyle. ". . . we have done so much to destroy the Indians, and so little to save them; and that, before another step is taken, there should be the most thorough deliberation, on the part of all our constituted authorities, lest we act in such a manner as to expose ourselves to the judgments of heaven." 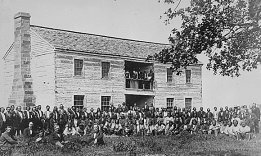 The moral objections to removal are evident in the writings of Jeremiah Evarts, Secretary of the American Board of Commissioners for Foreign Missions, the organization that established the first Christian missions among the Cherokees and Choctaws in the early 1800s. Cherokee Removal: The "William Penn" Essays and Other Writings (1981) is a collection of Evarts's letters and essays. Evarts upheld an inherent right of Native people to be secure in their lands. His covert agenda was to protect the financial investment that the American Board had made in the mission buildings that they had established in the southeast. The impact of removal on native populations has led to some debate in terms of demographics. The extent of the loss of life among migrants has an impact on the ability of people to maintain community structures such as clan and kin relationships. Loss of large numbers of family members through epidemic disease and the rigors of removal disrupt communities. Debates about the impact of epidemic disease and depopulation continue among scholars today. 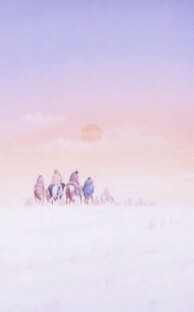 For the Cherokee Trail of Tears, consult Russell Thornton's The Cherokees: A Population History (1990), in which he estimates both loss of life and the potential population of the Cherokee nation had Removal not taken place. 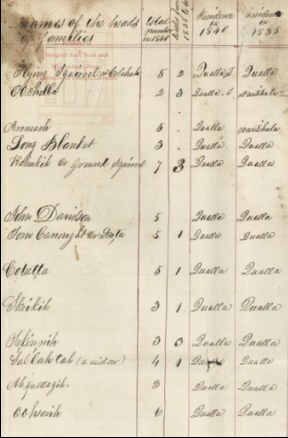 Census of Cherokee families in Georgia, North Carolina, and Tennessee (probably the 1840 federal census); excerpt. Phrase "died during the emigration" appears repeatedly in the remarks. University of Georgia Libraries. Place cursor on "Remarks" entries for transcribed text. The dynamic ability of tribes to adapt to new environments is evident in William McLoughlin's After the Trail of Tears: The Cherokees' Struggle for Sovereignty 1839-1880 (1993). Although the usual historical interpretation of the Trail of Tears has portrayed Indians as victims of federal policy, renewed attention to earlier scholarship such as Grant Foreman's works shows that Indians were making decisions to move west of the Mississippi long before the Removal Act. Those decisions may have some basis in traditions that they had originally lived west of the Mississippi. The historical tragedy and loss of homelands has been emphasized. The resilience of tribes and their ability to adapt to new environments needs to be stressed. In the larger scheme of American history, many tribal members were adapting to a new kind of economic system as were Americans generally. They faced the pressures of a market economy in which land was becoming a commodity to be bought and sold. The result was a historical experience that for contemporary tribal members joins traditional origin stories with accounts of the experiences of their ancestors in moving to and adapting to a new environment. "many tribal members were adapting to a new kind of economic system as were Americans generally"